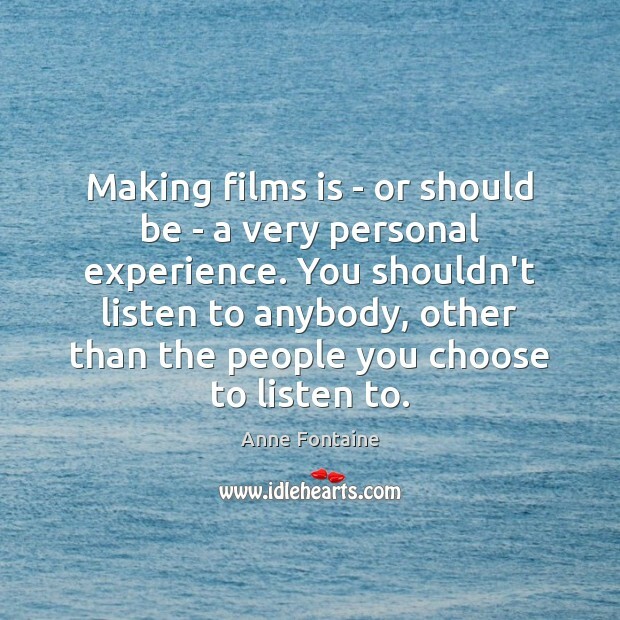 Enjoy the best inspirational, motivational, positive, funny and famous quotes by Anne Fontaine. Use words and picture quotations to push forward and inspire you keep going in life! 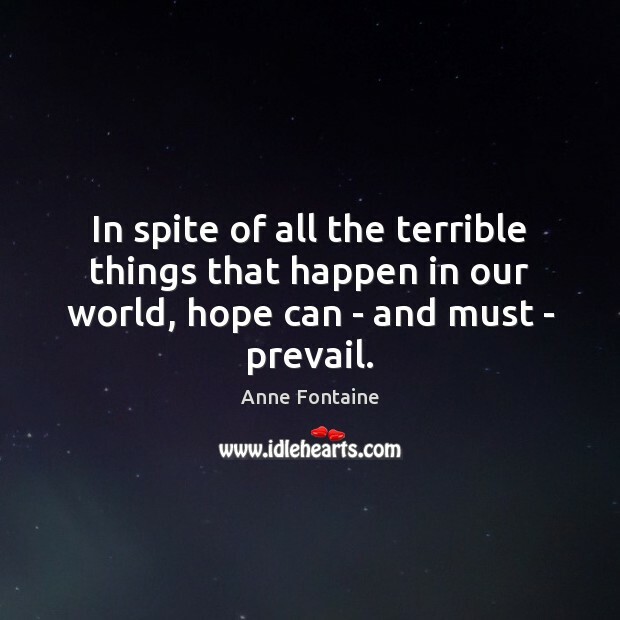 In spite of all the terrible things that happen in our world, hope can - and must - prevail. 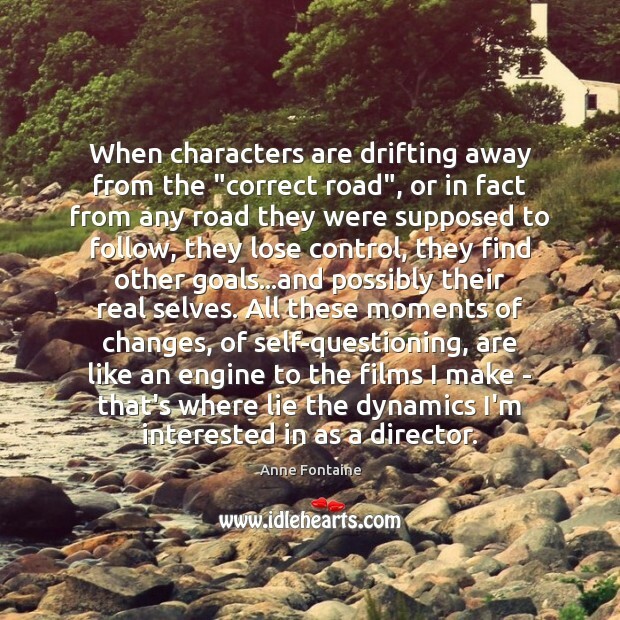 When characters are drifting away from the "correct road", or in fact from any road they were supposed to follow, they lose control, they find other goals...and possibly their real selves. All these moments of changes, of self-questioning, are like an engine to the films I make - that's where lie the dynamics I'm interested in as a director. I am blessed to live and work in [France,] a country where women filmmakers are by and large not unfairly treated. So I wouldn't have much to contribute regarding issues faced as a female director. Making films is - or should be - a very personal experience. You shouldn't listen to anybody, other than the people you choose to listen to. 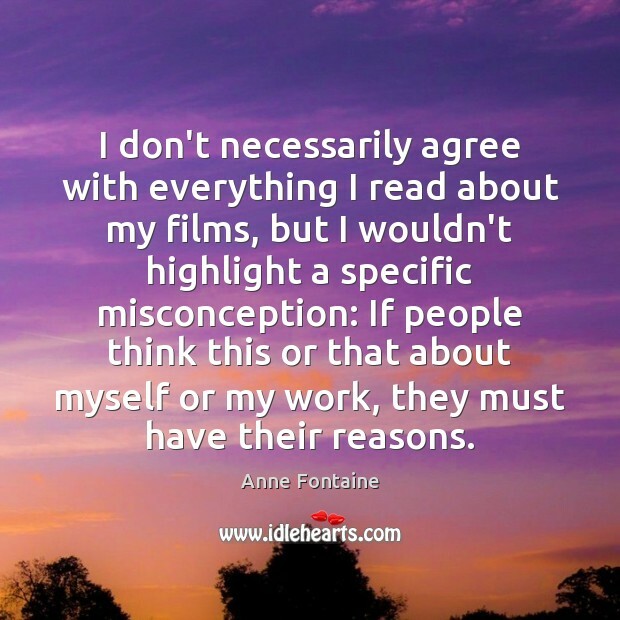 I don't necessarily agree with everything I read about my films, but I wouldn't highlight a specific misconception: If people think this or that about myself or my work, they must have their reasons. The biggest challenge [for movie Agnus dei] - working in a foreign country with a predominantly Polish cast and crew - also proved to be the biggest blessing. Being surrounded by all this change , [both] culturally [and] linguistically, was a new and refreshing inspiration. 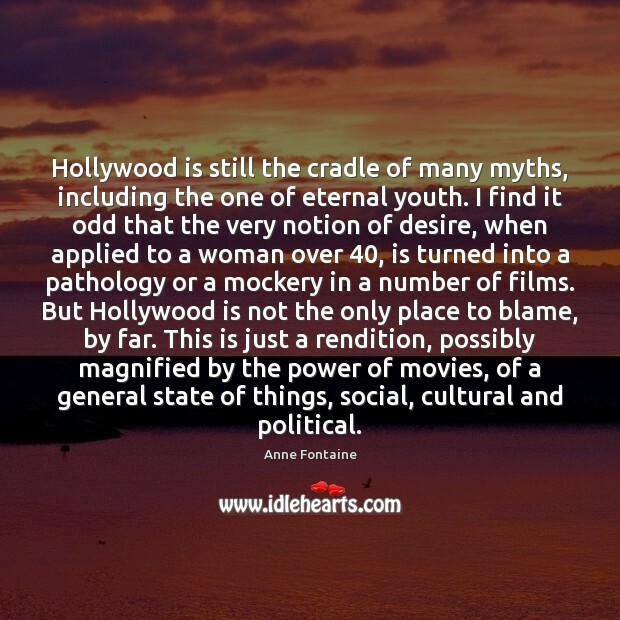 Hollywood is still the cradle of many myths, including the one of eternal youth. I find it odd that the very notion of desire, when applied to a woman over 40, is turned into a pathology or a mockery in a number of films. But Hollywood is not the only place to blame, by far. This is just a rendition, possibly magnified by the power of movies, of a general state of things, social, cultural and political.